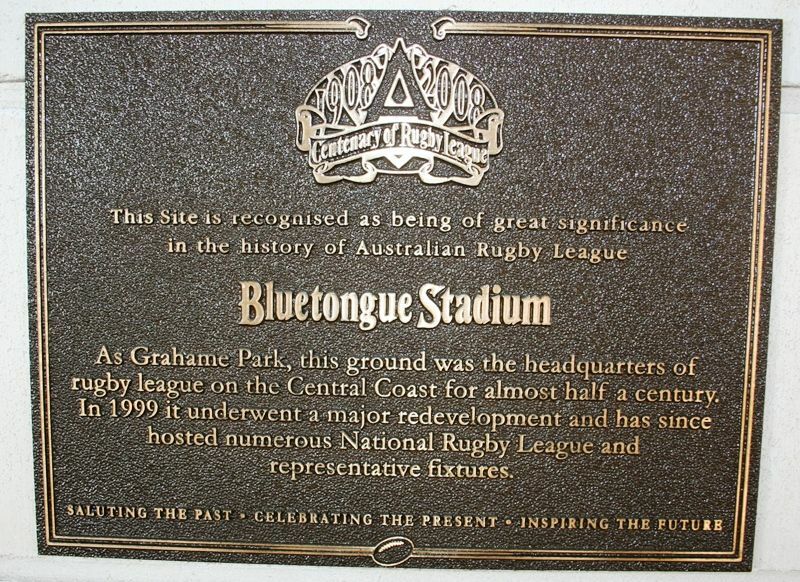 A plaque commemorates the centenary of Rugby League and the site of Rugby League in Gosford. As Grahame Park, this ground was the headquarters of rugby league on the Central Coast for almost half a century. In 1999 it underwent a major redevelopment and has since hosted numerous National Rugby League and representative fixtures.